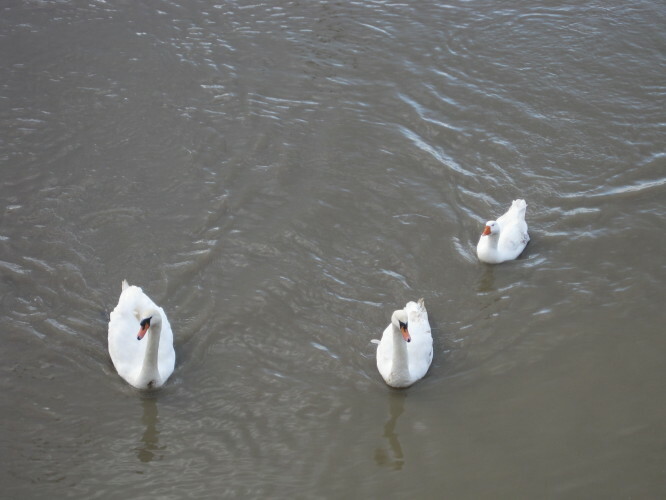 The two swans and the goose have been together for a number of years now and have become local celebrities. There are many theories about their relationship; is the goose a family pet, or the spokesbird? Goose is very vocal and these are mute swans! This page was added on 10/04/2015.